This is the third class that I have taken from Alec and Katia, therefore I am comfortable with the openness of these classes – now that is! I wasn’t always comfortable (and at times, while I feel comfortable, I still do not feel that I have the confidence), but have learned to embrace the lack of boundaries and the encouragement to try new things. I have not taken a closed form class myself, but have seen them as some of the teachers I would with have shown me what they are like. So, without the lack of experience of the closed forums, I do not feel that I can adequately discuss my experiences with them, however my first impressions of the courses were “YUK” as they seemed very assignment driven – used as a homework spot rather than a discussion spot, and from what I have been told – just like we discussed in class last week, everyone responded to everyone else so it looked overwhelming! In the video below – we see how protective Sheldon is about his “spot” on the couch and explains to Penny just why it is his spot. I was somewhat like Sheldon with the start of open courses. I had a spot – and my spot was simply to watch from a distance and offer my opinion in the comment section rather than chiming into Zoom and actually speaking. My spot was comfortable – I could respond without judgement (still do this), and I did not feel judged when I “wrote my mind”, often encouraged by Alec and Katia as they made a comment about my thoughts. As Andrew posted – open forums do provoke a sense of anxiety, you have no control over who will read your post or what they will think about you. What changed for me moving to an area of comfort in an open space was VALIDITY and AUTHENTICITY – I found that I was doing a lot more research and spending more time looking at other readings than those that were required. I found that I became more invested in the topic when I was asked to post in an open forum as I felt it allowed me to engage in student centred learning. Just like Amy wrote in her blog, I was more careful about what I was writing about – meaning, I made sure that I fully understood the topic and that I stood behind my opinion of the topic. This is especially true as I am in essence, putting myself out there for all to judge and see. Throughout the major assignment that we have been working on this semester, I have done a lot of trials in regards to opening up my courses. In some ways, I have surprised myself and in others, my experiences have been a conformation. I have really enjoyed using the Canvas LMS, and have found that for students in grades 11 and 12, they are able to handle the platform of the course. My students who are forced to use it have done so willingly, and to my surprise as I try to flip parts of my course with the students whom do not have to use an open forum – there has been no hesitation and they took to it easily, commenting that they liked the trust that I had in them to complete their work on their own. Well I agree that flipped classes are not open classes – there are aspects to my course that will be open – but it is getting the students comfortable with this concept that has been the challenge. As I am new to the school that I am teaching in this year, the students tell me that they have never been able to use their devices before in the classroom (had a very closed experience before) and are overwhelmed with the technology. Clearly, I have some work to do (with the students, not the admin as they are very supportive) – but as the year has gone on, I have seen a level of confidence emerge from the students with the use of technology and openness via blogging. I am curious about your administration – how do they support you in regards to using technology to create an open environment? Do you believe that if you create an open course that you will increase student centred learning ? Carla, I like that you posted two questions at the end of your blog, inviting others to engage in this conversation. I think the word “open” is MEANT to increase student centred learning, but obviously doesn’t always happen that way. Like anything, we need to be encouraged, mentored, and modelled for, before one can really engage in authentic student centred learning… just like your experience in Alec and Katia’s classes! I’m sure your students appreciate that you are giving them a little more ownership and responsibility in their learning through opening up your course a bit. It sounds like the previous closed nature and limited access to technology has made this all very new to students. I feel like students who have had limited access to technology would be willing to jump on board because they live in a world in which technology surrounds them and they use it daily. Giving them opportunities to try new things is going to work in your favour and help them develop some new skills as well. 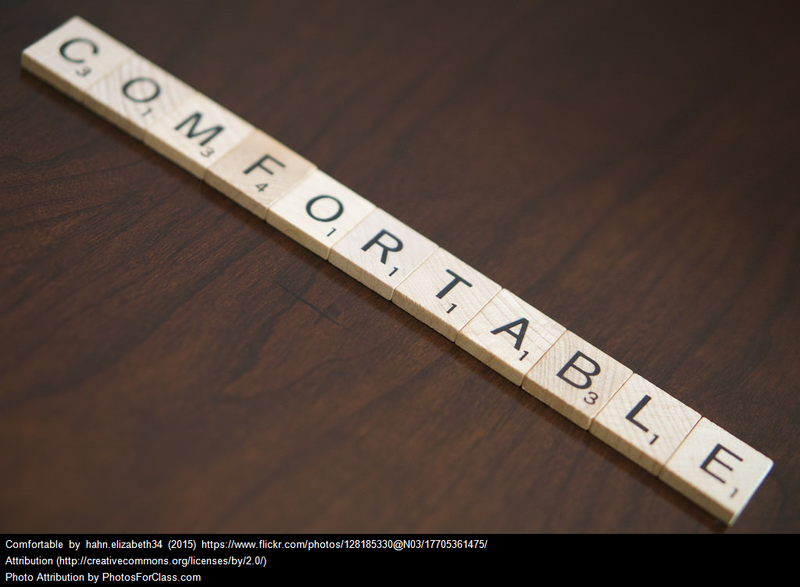 Unit 5: Flexible, Equitable, Achievable? ScienceOunce Create a free website or blog at WordPress.com.